Copyright (c) – Warner Bros. Entertainment Inc. Published By – Metrophonic Music Ltd. Published By – Stereophonics Music Ltd. Published By – Awesome Music, Inc.
℗©2005 Nettwerk Productions. Manufactured and marketed under exclusive license from Nettwerk Productions by Nettwerk America LLC. 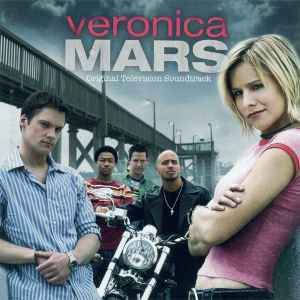 Veronica Mars and related elements TM and ©2005 Warner Bros. Entertainment Inc.
Track durations taken from Exact Audio Copy, not listed on release.